Living in Shanghai as the head of L’Oréal’s Chinese consumer business, Emma Walmsley was content. But one unexpected networking lunch in 2010 with Andrew Witty, the CEO of British pharmaceuticals giant GlaxoSmithKline (GSK), tossed her finely balanced life into uncertainty. “An inspiring conversation ended up spiralling into a job offer alarmingly fast,” Walmsley said in a testimonial for Lean In, a network that supports women in business. 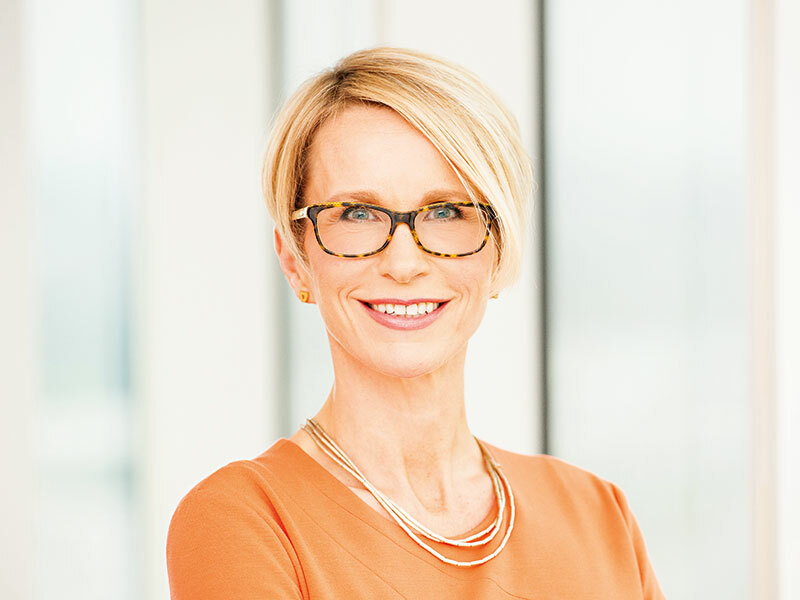 Witty offered Walmsley a position as the president of GSK’s global consumer healthcare business, one of the company’s three main pillars alongside pharmaceuticals and vaccines. At the time, the unit was generating £5bn (€5.67bn) in annual sales. Walmsley had reservations about taking the job, which would require her to uproot her family from China and move back to her native England. She feared being perceived as “disloyal” to the company where she had worked for more than a decade, and worried she was not prepared for the new responsibilities. “It was too risky,” Walmsley wrote. But despite her doubts, Walmsley was unable to let the opportunity pass her by. She took the leap. Just six years later, an even bigger decision would come Walmsley’s way: a promotion to become GSK’s new CEO. GSK, the name behind everything from Sensodyne toothpaste to lung treatment Advair and shingles vaccine Shingrix, shocked the market when it announced in 2016 that Walmsley would succeed Witty, who had been CEO for nearly a decade. 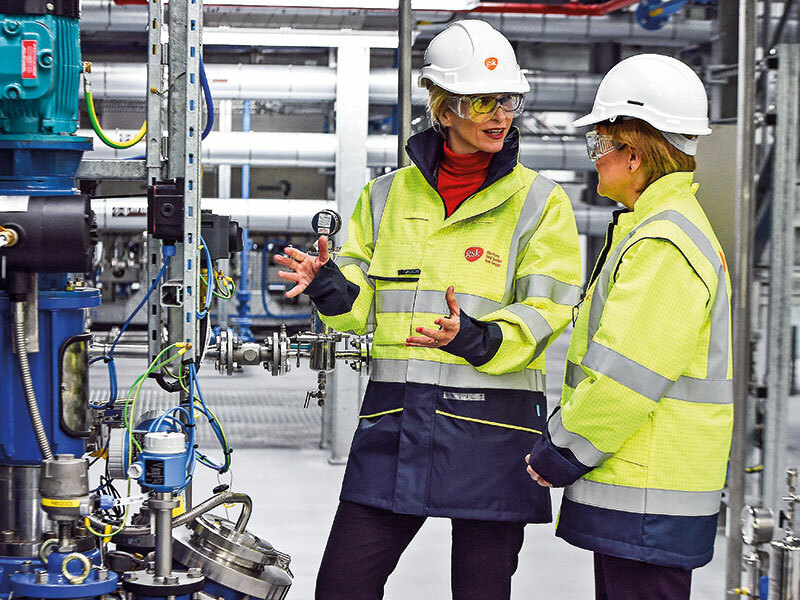 Although sceptics have doubted her ability to revive the struggling company, Walmsley has taken unprecedented steps to breathe new life into GSK. It is worth noting that Walmsley is the first woman to ever lead a major pharmaceutical firm, but that is not why investors had reservations about her leadership. Instead, they worried her background in marketing and consumer products did not give her the experience needed to overhaul the firm’s pharmaceuticals unit, which had significantly underperformed its peers in the sector for the last decade. At French cosmetics giant L’Oréal, Walmsley spent 17 years in a range of jobs in Paris, London and New York before travelling to China. There, she worked to accelerate the growth of global brands including L’Oréal Paris, Maybelline and Garnier, as well as Chinese skincare brand Mininurse. Walmsley was seen as a rising star in the industry and a natural contender for future positions in L’Oréal’s senior global management. Her decision to leave the company shocked insiders in China’s luxury community, according to media company Ad Age. But upon entering GSK’s headquarters, Walmsley used her management expertise to begin a process of revitalising the firm’s stagnating consumer business. As a former GSK senior executive told Fortune magazine: “Consumer had been a sleepy little side organisation that brought in a bit of revenue.” But once Walmsley arrived, it became “front and centre, and you’re hearing about it, and you’re seeing change”. During Walmsley’s tenure as head of the consumer business, sales jumped 38 percent to $9.4bn (€8.24bn). This was partly boosted by a successful joint venture with Swiss pharmaceutical company Novartis in 2014, which created an over-the-counter giant led by Walmsley. GSK’s underperformance over the past decade has left a bad taste in the mouths of many of its investors, including British fund manager Neil Woodford. Woodford, who had held GSK stock for more than 15 years, sold all of his shares in May 2017, just months after Witty handed the reins to Walmsley. Woodford had often challenged management to break up GSK and said he was concerned about the firm’s core pharma unit, which was generating about the same revenue in 2017 as it was in 2004. Many analysts have criticised the lack of results from GSK’s R&D team and the company’s insistence on spreading its resources thinly over a large number of assets rather than zeroing in on a handful of potential blockbuster drugs. Analysts at Credit Suisse, meanwhile, have said they only see a sales potential of £1.2bn (€1.36bn) by 2022 from GSK’s pipeline, compared with an annual pharma and vaccines R&D spend of £3.4bn (€3.85bn). Walmsley has vowed to stop spending money on developing drugs with no obvious commercial potential, terminating or divesting more than 30 drug development programmes in the process. In her first year as CEO, she also sold off the company’s rare disease unit and began a strategic review of its cephalosporins antibiotic business. Going forward, GSK will invest more in oncology and immuno-inflammation while continuing to focus on its top therapy areas: respiratory conditions, HIV and infectious diseases. Franklin told European CEO that Walmsley has been making “crucial” and much-needed changes, and her most important move so far was the transformation of the leadership team within R&D. One of Walmsley’s new recruits is Hal Barron, who worked as the president of R&D at tech giant Alphabet’s secretive anti-ageing start-up, Calico. He previously held executive roles at pharma rival Roche and its biotech unit Genentech. As Chief Scientific Officer and President of R&D, Barron’s new strategy also includes changing the culture at GSK. The seemingly obvious changes he is pursuing – such as creating an environment where decision-making is quick, people are accountable for their decisions, and resources are allocated to assets with the highest potential – are actually difficult to execute in practice, Franklin said. Walmsley has totally refreshed GSK’s leadership, having changed about 40 percent of the top executives within months of becoming CEO. She gained respect from investors for bringing in well-known individuals such as Barron and Miels, as well as Karenann Terrell, an executive at Walmart, who is now GSK’s chief digital and technology officer. Walmsley has often pursued radical change at GSK. One of her first big moves was to buy Novartis out of the consumer healthcare joint venture she had helped lead. GSK spent $13bn (€11.4bn) to take full control of the unit, which has sales of £7.8bn (€8.85bn). Bringing all consumer revenues in house gave clarity to shareholders and, according to Thomas Moore, a senior healthcare analyst at GlobalData Healthcare, the buyout “can only be a good thing”. Since becoming the CEO of GSK in 2017, Walmsley has faced a rocky transition period, including a resetting of earnings expectations and questions from investors over the future of GSK’s dividend. This created “real pressures” on the share price towards the end of 2017, Franklin said. GSK’s London-listed shares, which sat at around 1,650p (€18.67) at the time Walmsley took the helm, dropped as low as 1,290p (€14.60) at the end of 2017 and into early 2018. But even before this drop, investors were not impressed with Witty’s decision to promote Walmsley to CEO: shares fell after the news was announced, and sceptics have said Walmsley’s lack of experience in the pharmaceutical space would prevent her from bringing the struggling unit back to life. Woodford described her as a “continuity candidate”, while Swami Subramaniam, a long-time executive in India’s healthcare sector, wrote in a blog post on LinkedIn that Walmsley’s L’Oréal experience would translate “poorly… at least in the near-term”. However, GSK’s share price has rebounded over 2018, rising as high as 1,617p (€18.30) in August. Much of the criticism of Walmsley, and subsequent share price reaction, was unwarranted, Franklin said. “I think the share price performance since then and the decisions that she’s taken and the people she’s brought in since then demonstrate that she’s had actually, looking at things in the round, a very good start and has put the business on the right path,” he told European CEO. In 2017, Walmsley told the Financial Times her lack of “baggage” would help her come up with new ways to revitalise the company. “I think having a fresh pair of eyes is actually incredibly helpful, whether you’re deciding which therapy areas you want to be in or which assets you want to back, or which people you want to hire or which people you think should be part of the company in the future,” she said. And Walmsley certainly has every right to sit at the top of the GSK pyramid. In September, Forbes named her the most powerful woman in business outside the US. Walmsley is shaping the future of one of the world’s biggest and oldest pharmaceutical firms at a crucial moment in its history. So far, she has demonstrated that she will not shy away from tough decisions or new opportunities. The road to revitalising GSK’s balance sheet and its public image will be long, but Walmsley appears to be the one for the job.